Basic t-shirts? No way! 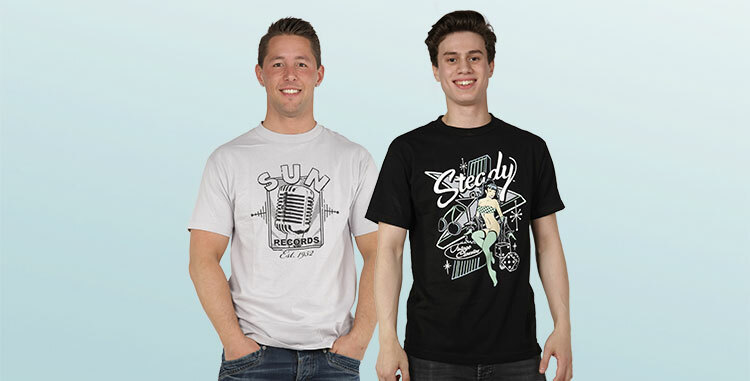 From Elvis to Betty Page, cornflakes or skulls, here you will find our cool collection of shirts in sizes XS to XXL.